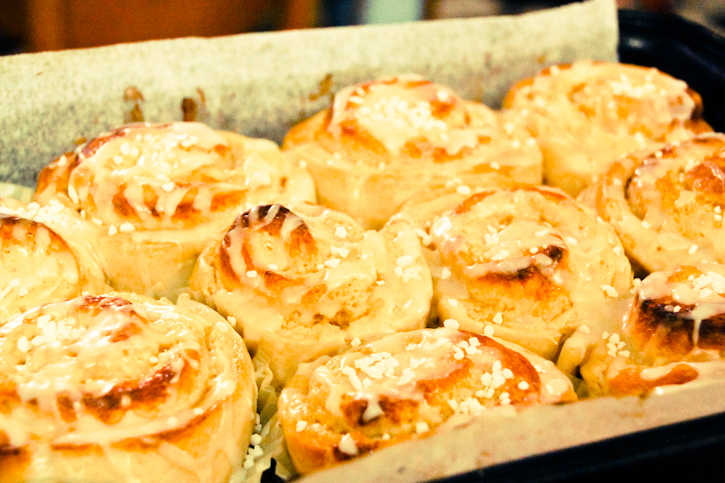 It was a revelation the day I discovered that seemingly unending varieties of Pulla exist across Scandinavia. With the slightest tweak to a recipe a flick of the wrist this simple, delicate bun transforms into an array of wonderful delights. 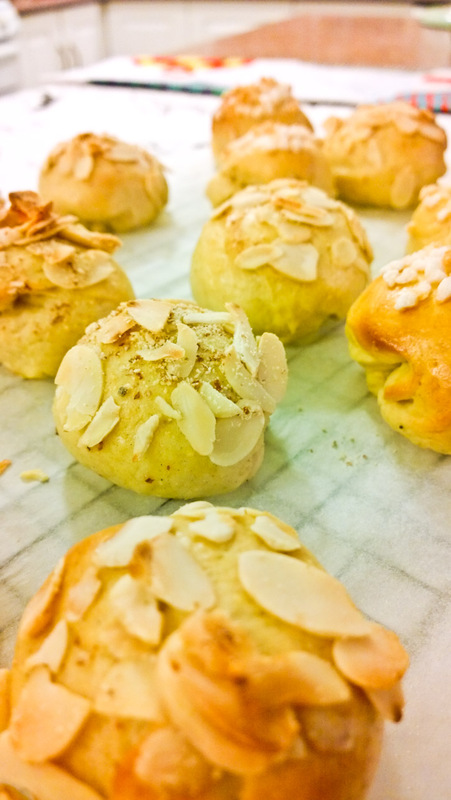 OK, this may sound a little over the top – but trust me, once you’ve been to Dallas (aka Flavour Town) you’ll never be able to Pulla yourself away (wow – that was corny even for me – but seriously *grabbing your arm with wild abandon* this is the stuff). 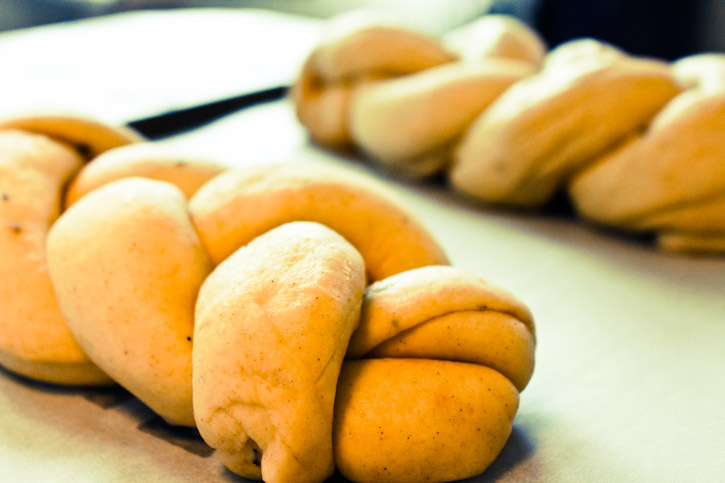 To start you’ll need the basic Pulla recipe found here. The only difference is when I have the time I like to let this dough slowly rise for as long as I can. Allow the dough to get started for half an hour or so and then whack it into the fridge for five or six hours or even overnight – the cold won’t stop the fermentation, just slow it. When you’re ready to roll, let the dough warm up a little as it will be easier to handle. While it’s warming up get started on the filling. Firstly make sure all the ingredients are at room temperature – it’s the same method as for a cheesecake, if the ingredients are too cold it’s more challenging to end up with smooth custard. 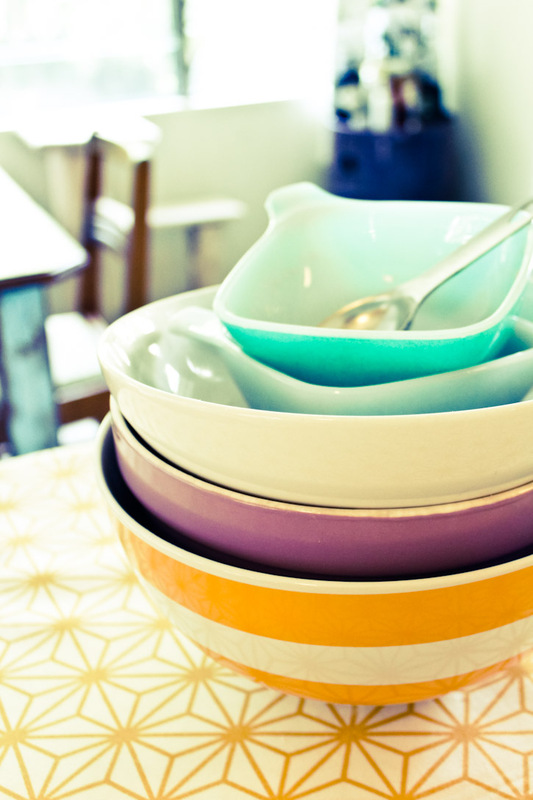 Combine all the ingredients in a large bowl and beat together until well combined and smooth. 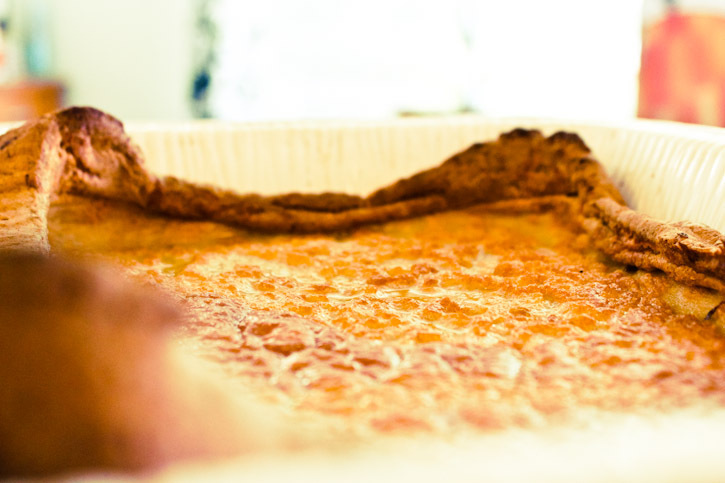 Roll out the dough into a large rectangle, at least 40cm wide by 30cm tall. Keep the thickness around a centimetre. Evenly spread the custard mixture over the dough leaving a clean edge of about 1.5 cm along the edge closest to you, reserving a quarter of the mixture to top the buns at the end. Brush the clean edge with a little warm water and gently roll the dough into a sausage and seal with the damp edge. Using a sawing action (to avoid squashing the rolls) cut the dough into 5cm lengths. The buns will need to rise again before baking. Place the buns flat side down onto a baking tray with enough room to comfortably double in size and not touch. 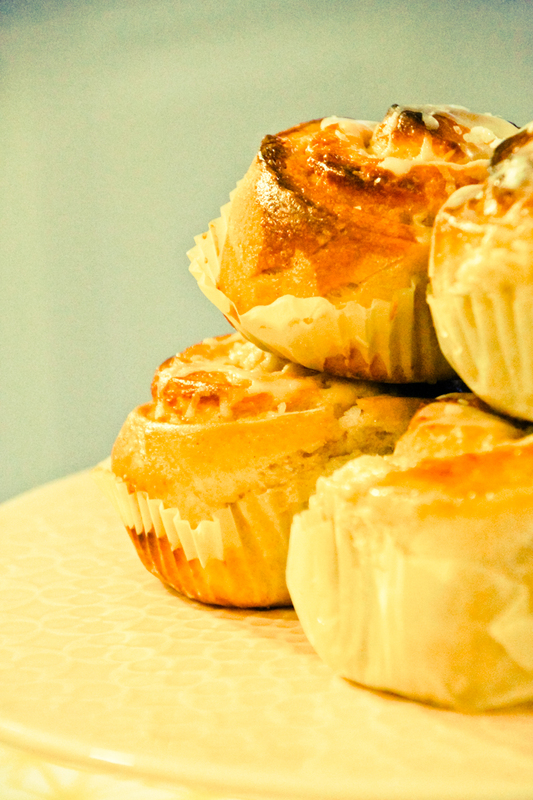 Spoon the extra custard on top of the buns and allow to rise in a warm place for at least 30 minutes. While the buns are rising, preheat the oven to 200c. Once ready gently brush with the egg wash and place into the oven. Bake for 20 mins and then increase the temperature by 10c for another 5-10 minutes and bake until golden. Remove the buns and allow to cool for 15 minutes while you prepare the icing. 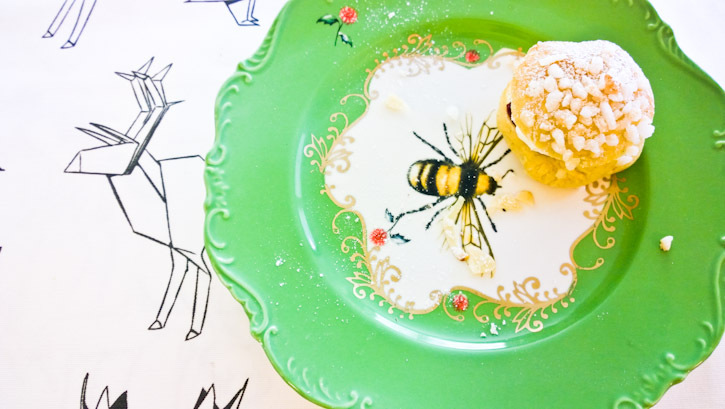 Combine the icing sugar and water to make a smooth paste the consistency of honey. Liberally drizzle the icing over the buns while still warm. Sprinkle with pearl sugar. Wait as long as you can to resist trying one – I lasted about 3 minutes. 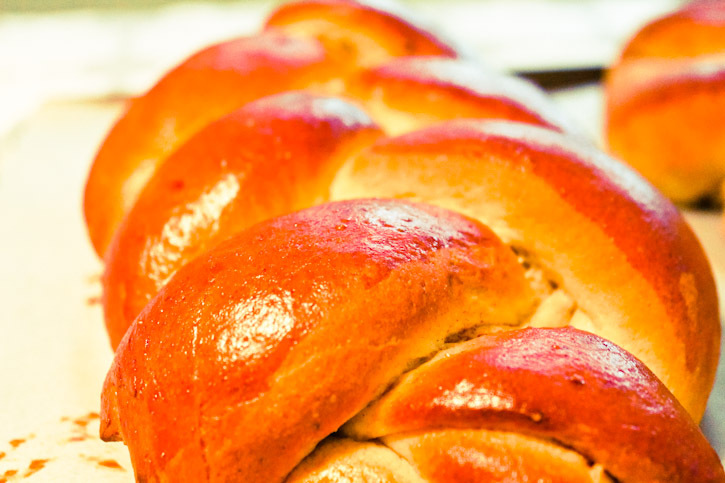 This recipe for a simple tea loaf is based on the foundation of all Finnish Pulla recipes. From here you can add spices, jams, icing, custards or fruit to make endless varieties of this delightful afternoon tea staple; but this original, lightly sweetened golden loaf is a simple delight to make and share with friends over a cup of tea, or more traditionally, ultra-strong black coffee. You can start this in the morning ready for afternoon tea. 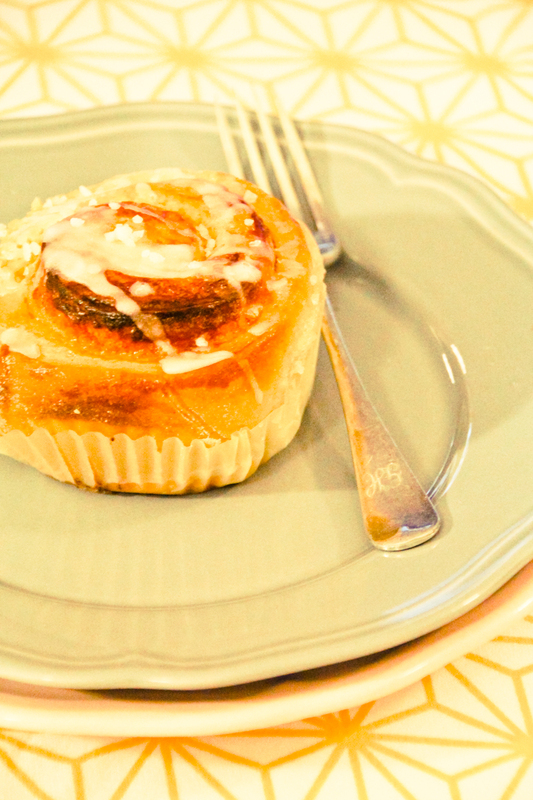 If there is any left, day-old Pulla is ideal for Bread and Butter Pudding. Use the dough hook tool on your mixer. 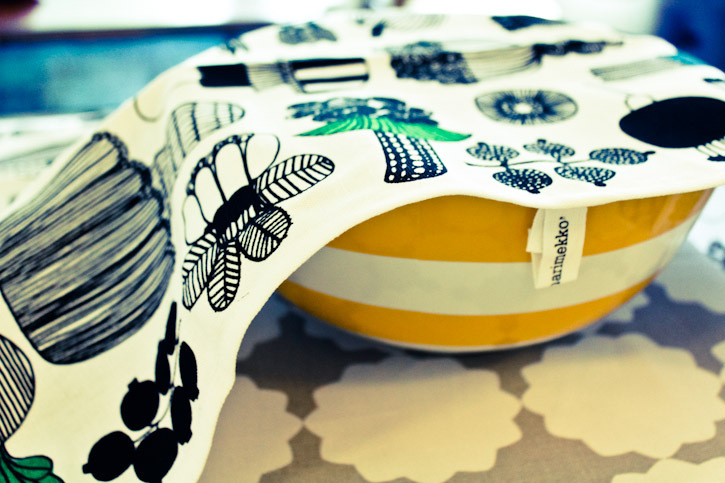 Combine milk, sugar and yeast in your mixing bowl. Allow to activate for 5 minutes. Add the softened butter, egg, cardamom, cinnamon and salt and combine. With the mixer on low gradually add the flour until combined. Once the dough comes together you can kneed by hand until you reach a soft elastic dough, although I use the mixer to do this with equal results – approximately 5 minutes in my mixer. Once smooth and elastic, allow to rest for a couple of hours until at least doubled in size. Divide the dough into three portions and roll into long sausages about 40 cm in length. Once you have the three lengths, place them side by side on your baking sheet and gently press the ends of the three together to join. Beginning with the left, gently plait the pieces of dough together, gently joining at the end. Once you’re finished fold the joins underneath the main loaf. Brush with beaten egg and dust with pearl sugar and set aside to rise for another 30 mins to rise. Bake for 20-25 minutes until golden. Allow to cool and serve just warm. I love it with slightly salted butter, an extra dust of ground cardamom and a cup of the darkest Finnish coffee on the side. 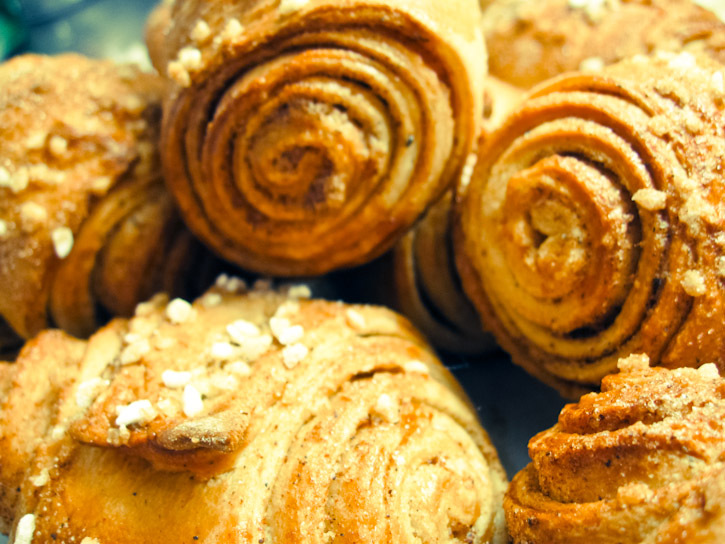 I’m talking about Korvapuusti – Finnish cinnamon and cardamom buns. Translation – slapped ears. 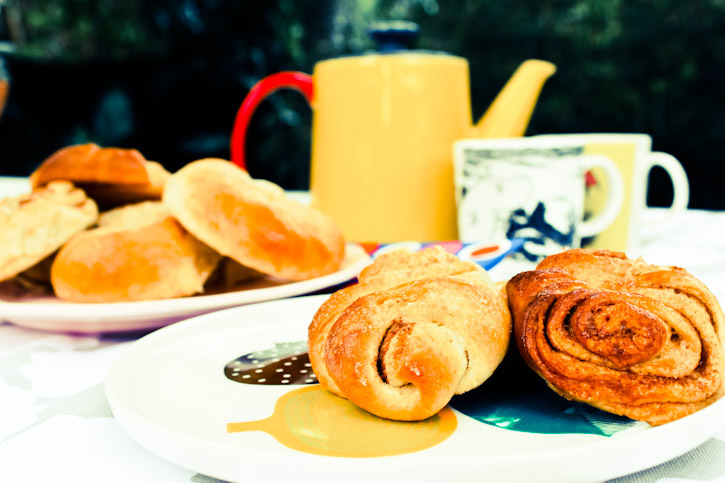 Korvapuusti are just one of copious varieties of Finnish Pulla – sweet yeast-risen pastries that make their appearance throughout the day at breakfast, morning tea, afternoon tea, supper and late night snacks, both in the dead of winter or under the white night sky of summer. 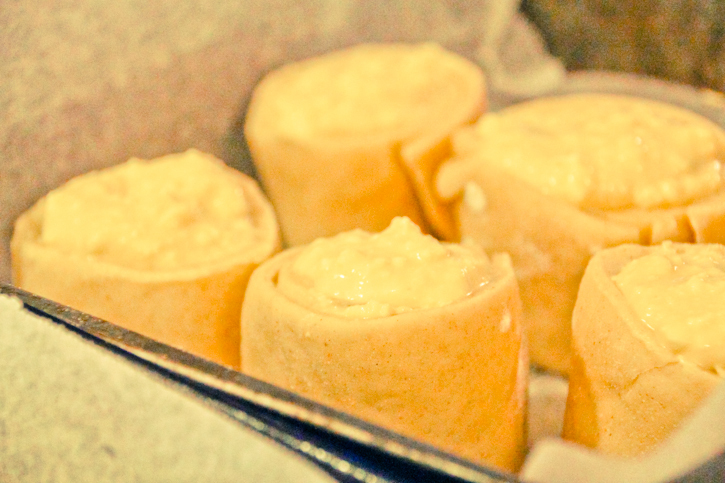 Rolled into a shape that resembles a slapped ear, they’re as Finnish as Sauna and a must-try when you visit. 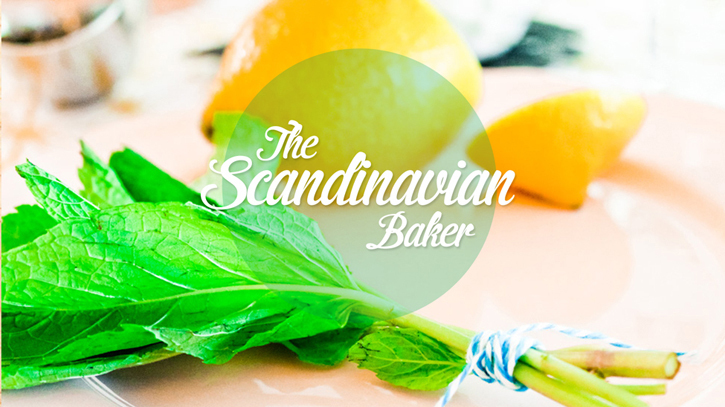 While every family has a recipe, they’re so popular and essential to the day that they’re baked on a massive scale at bakeries across the country and sold in supermarkets. I worked briefly in a bakery in Finland – at two actually; one small bakery in a picture-perfect neighbouring village and in a much larger industrial bakery in the next city over. 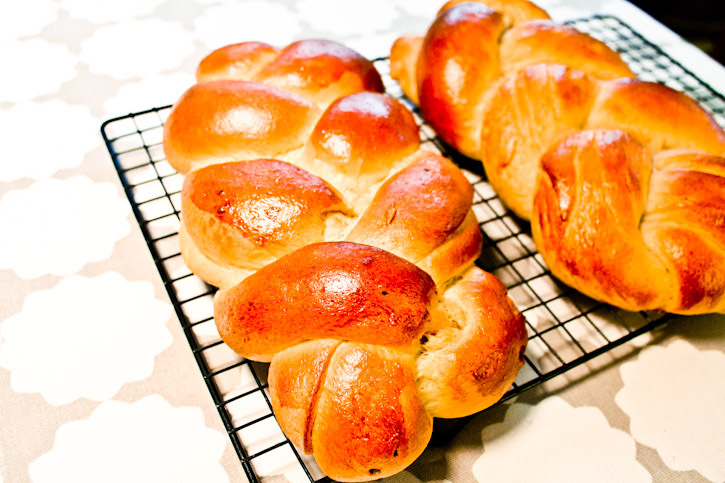 Both were filled with the unmistakeable and comforting smell of Pulla baking away to be ready for the morning. Stepping from the snow outside into the warm sugary-smelling bakery was the best part of the night. (Cleaning the industrial frozen pizza conveyer belt was not the best part – although both smells were unmistakeable). 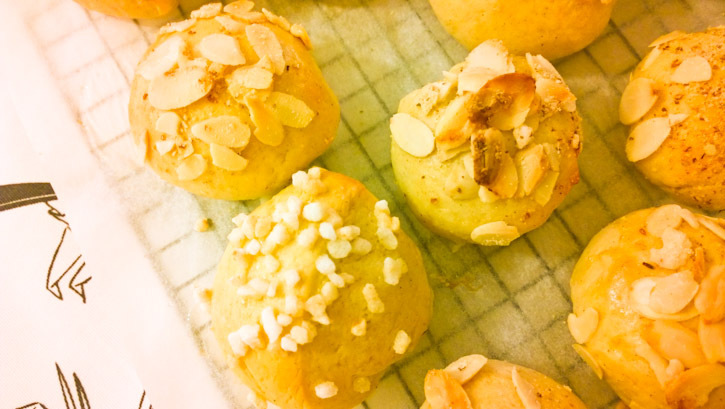 The Finn has grown up on these things – made of course by loving tradition-trained, sleigh-riding Finnish aunts (both related and acquired), so when I first got out the rolling pin the pressure was high. I’ve made two varieties from the same dough. Firstly Korvapuusti and secondly Voi-silma ( butter eye). 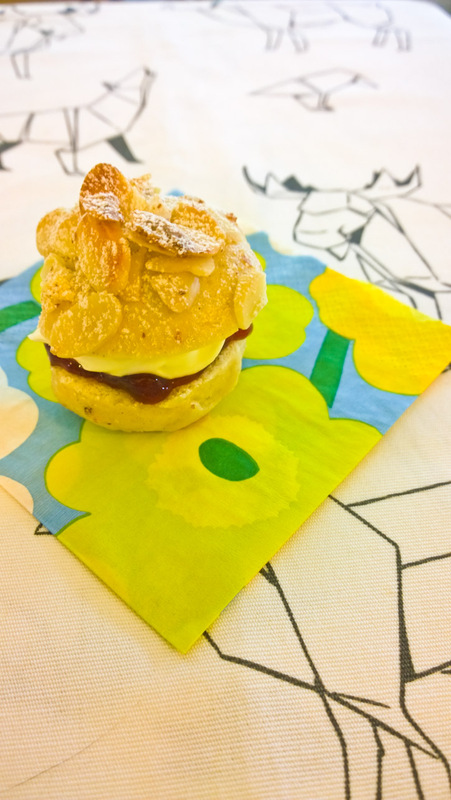 NOTE: If you’re only making Korvapuusti, then combine all the filling ingredients (100g butter/50g sugar). 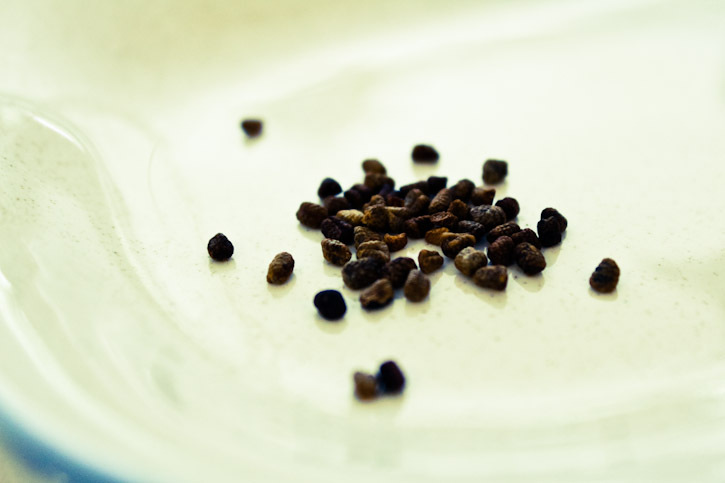 Leave out the cinnamon if just making Voi-silma. Use the dough hook tool on your mixer. 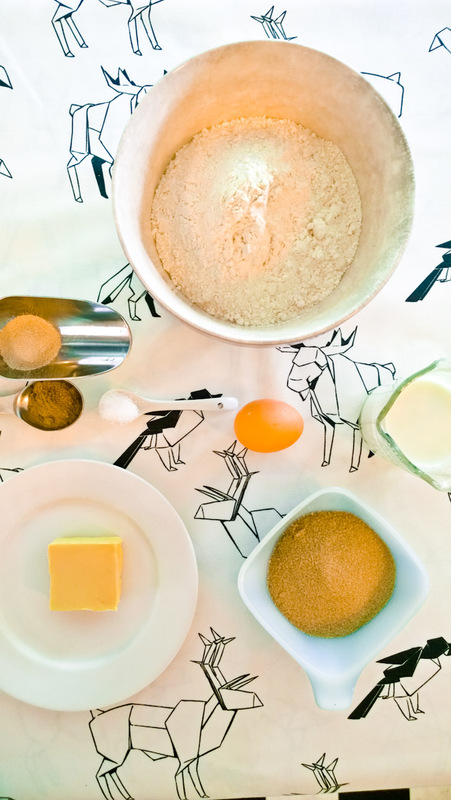 Combine milk, sugar and yeast in your mixing bowl. Allow to activate for 5 minutes. Add the softened butter, egg, cardamom and salt and combine. With the mixer on low gradually add the flour until combined. Once the dough comes together you can kneed by hand until you reach a soft elastic dough, although I use the mixer to do this with equal results – approximately 5 minutes in my mixer. 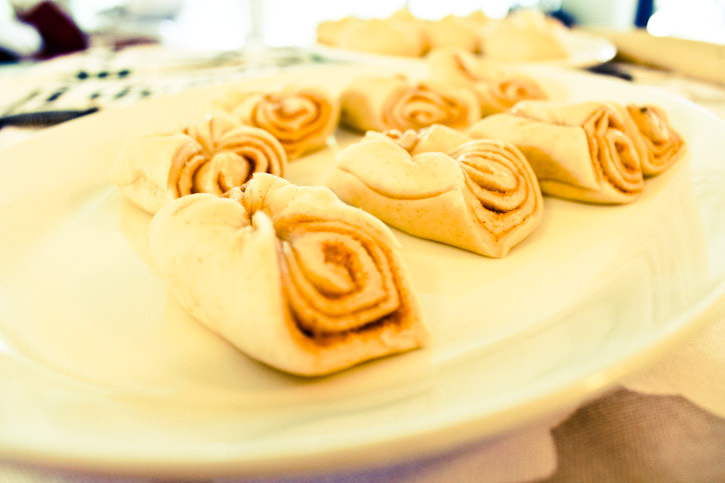 To make the filling I break with tradition here – mix the cinnamon and butter into a paste. You’ll use this later on to spread across the rolled out dough. 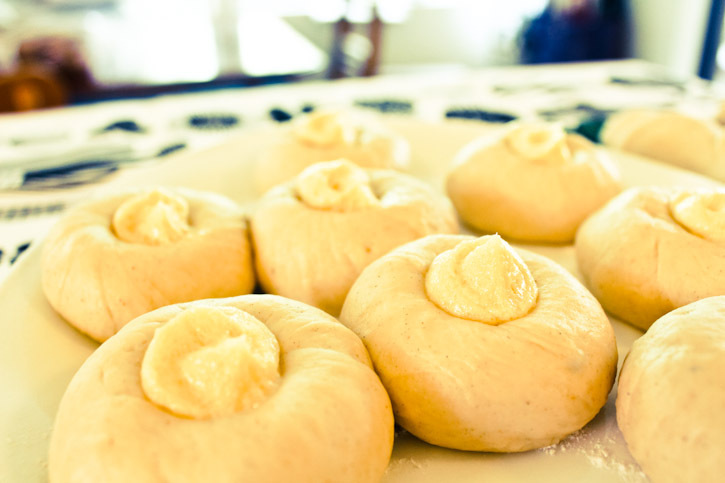 Divide the dough into four portions. Here you can decide what to do; two for korvapuusti and two for voi-silma, or keep all four for the ear slap. Pre heat your oven to 180c degrees. Roll the dough into two rectangles, (30x25cm, 3-5mm thick). Spread an even portion of the dark spiced butter across the dough and sprinkle with some of the sugar. Roll into a sausage and set aside. Repeat. Line the dough sausages up and cut them on the diagonal. You want to end up with v shaped pieces with the point about 2cm across. 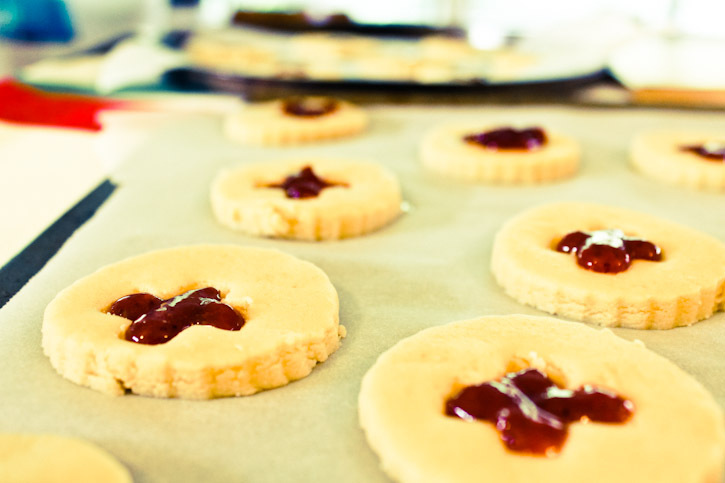 Place the pieces point side up on a baking tray and press down on the point with your finger – almost through to the tray. Brush with beaten egg and dust with sugar. 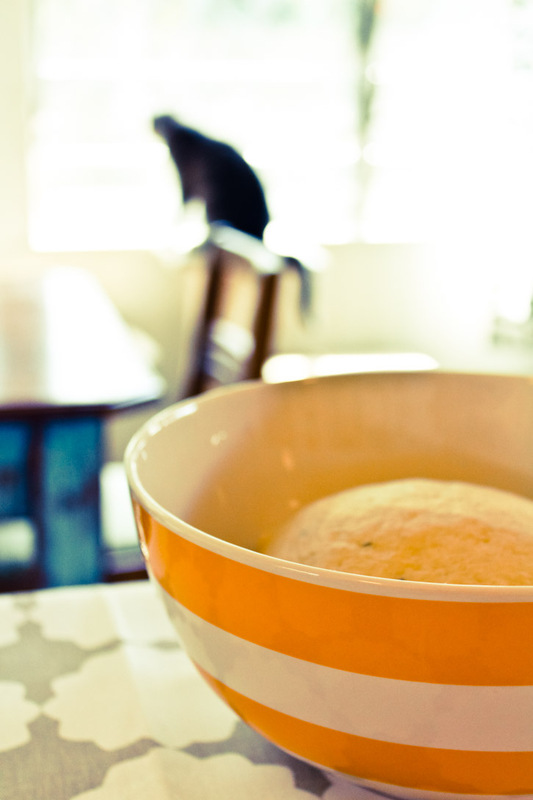 Set these tasty ears aside to rise for another 30 mins to rise and then bake for 20 minutes until golden. 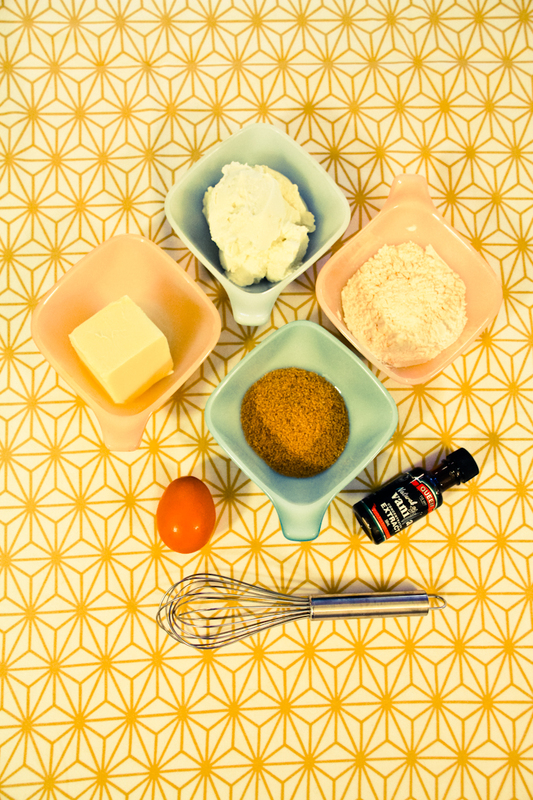 Take your remaining dough and divide further in to four pieces each – eight in total. Roll each piece in to a golf ball size and place on a baking tray to rise for 30 minutes. 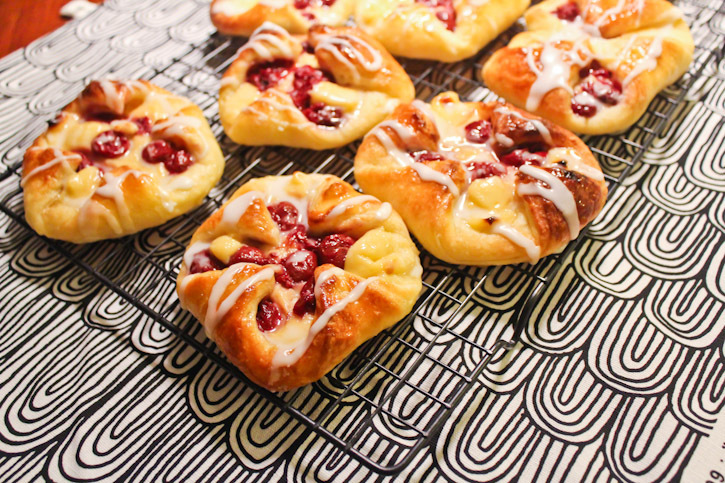 (These make super-tasty plain Pulla as well). 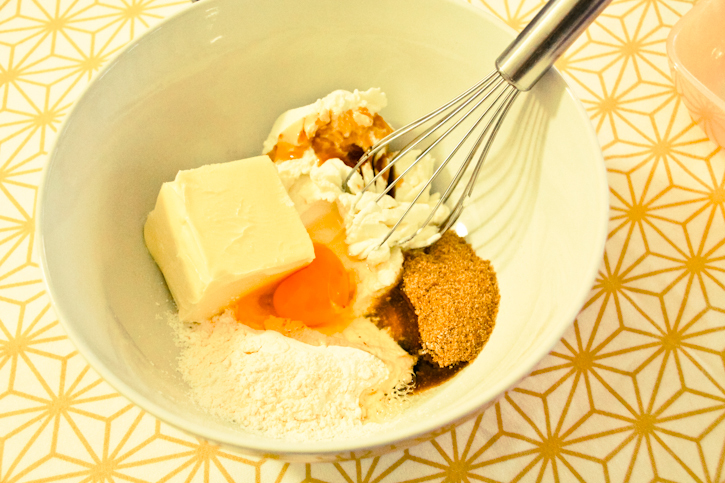 In the meantime, take the remaining butter and sugar and mix together to form a paste. 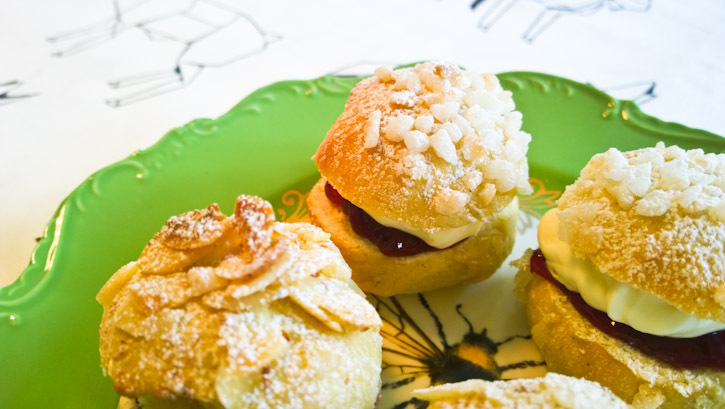 Once risen, gently press a hole into each bun and place or pipe a teaspoonful of the filling into each one and brush with beaten egg. Bake for 20 minutes until golden. This recipe is based on one from Tessa Kiros, a cook whose recipes I love; also with a heart in two places.